Now that Maeve has successfully [Redacted], let’s see what mischief she can get into. 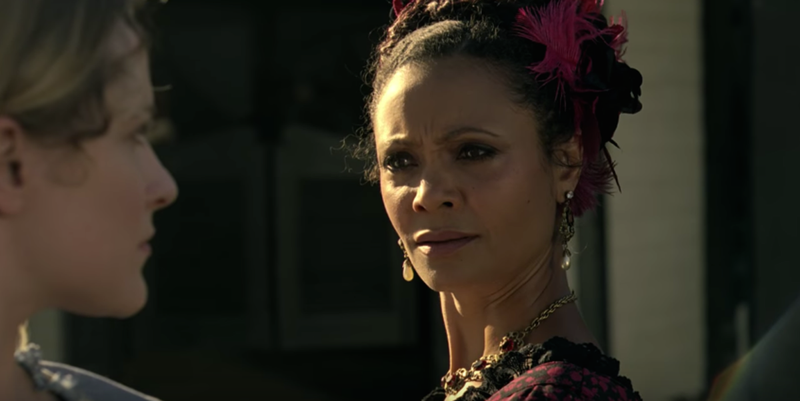 Given that Maeve and Dolores seem to have been trading off episodes, I’m expecting to catch back up with our damsel-turned-gunslinger tonight. Spoilers below. Incidentally, “trompe-l’œil” is an art technique where a painting uses optical illusions to deceive the viewers into seeing a three dimensional image. Can’t imagine how that could be applicable to Westworld’s hosts.